In the last issue you read that Meena Kuamri became a star with Baiju Bawra. Now read how eminent filmmaker Kamla Amrohi came in her life and how her life from a blooming flower was withered and became a tale of melancholy and despair. (Sorrow is my villain but my heart hunts for sorrow if there is a separation from sorrow for even a minute). Meena Kumari poured her emotions in Guru Dutt’s movie SAHIB BIBI AUR GHULAM and deservedly won the Filmfare Best actress award. Interestingly on one hand while her reel life was going through turmoil, her real life was at the peak. In fact in 1962 besides SAHIB BIBI AUR GHULAM she gave many hits like ‘AARTI’ and ‘MAIN CHOOP RAHOONGI’ and was also nominated for best actress award by Filmfare thus becoming Bollywood’s only actress to be nominated that year in three films. After this Meena Kumari went strength to strength representing a rarefied concept of a traditional womanhood that was divested of all its physical antecedents with movies like DIL APNA AUR PREET PARAYI, DIL EK MANDIR, CHIRAG KAHAN ROSHNI KAHAN, BHABHI KI CHUDIYAAN, KAAJAL etc. While she won loads of laurels for her emotional roles few recognized her mastery in lighter roles where she effortlessly matched with the comic of genius, Kishore Kumar, in movies like – ‘SHARARAT’ and ‘ILZAAM’. Further her performance with Dilip Kumar in ‘AZAAD’ and ‘KOHINOOR’ proved beyond doubt that the great tragedienne of Indian Cinema was equally adept in comedies too! 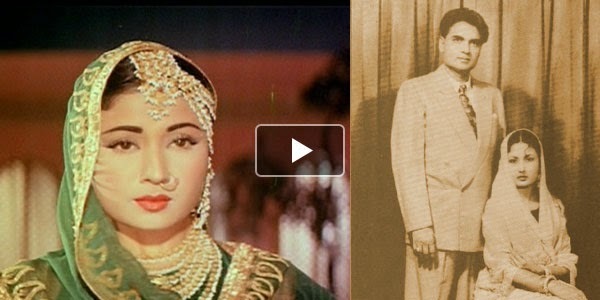 Further with PAKEEZAH’ is become immortal in Indian cinema.